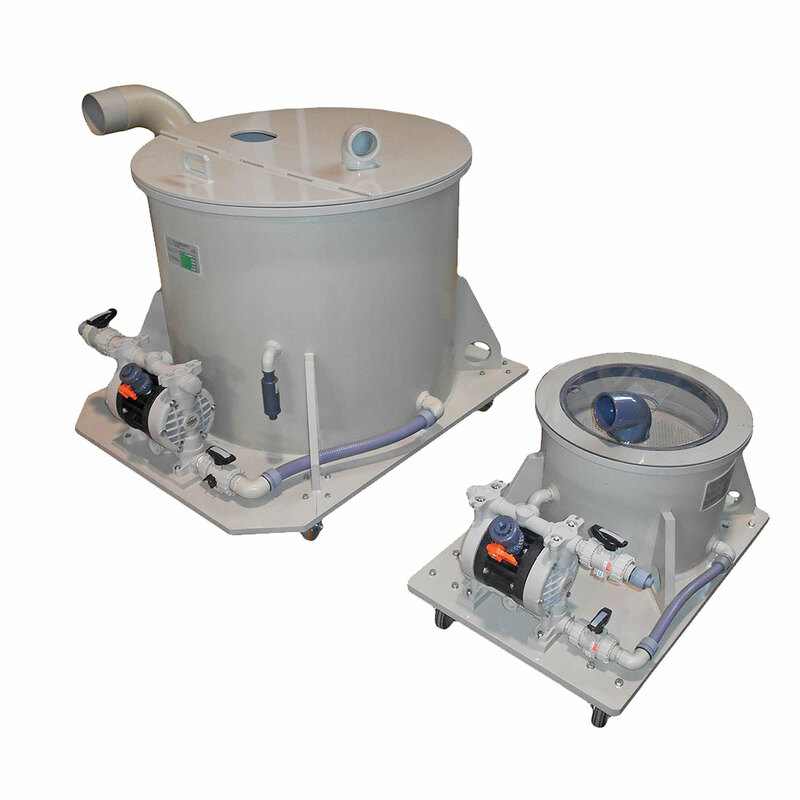 This equipment is designed for the filtration of liquid solutions containing solid/powder. It is constituted by a trolley mounted on 4 pivotting wheels which supports a cylindrical body filter, both by Plastic PP, and an air diaphragm pump. The body of the filter is subdived in two parts separated by a plate with holes for the suction and filtration of liquids by mean a PP and/or Paper sheet. The diaphragm pump generates the vacuum necessary for the filtration by using compressed air. It is made by PP body with interchangeable PTFE membranes. The system is provided with three ON-OFF ball valves for the connection between filter and other process equipment and for the air compressed supply. The filter is provided by special vacuum breaker valve to protect the filter body against vacuum implosion and a plastic cover divided into two parts, one movable and the other with a suction plug for fumes.